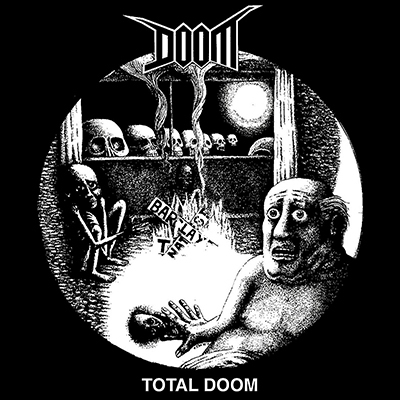 2 x LP | "Total Doom"
Active since the year 1987, DOOM from Birmingham, UK is one of the most famous and maybe one of the most active Punk, Crust bands coming from this country. Raw, crushing and pissed off political D-Beat, Punk for the fans of CHAOS UK, DISCHARGE, EXCREMENT OF WAR, HELLKRUSHER, ELECTRO HIPPIES, HEALTH HAZARD, CONFLICT, CRESS, HIATUS, ... . The original version (CD only) was released in the year 1989 also on PEACEVILLE from the UK. Re-issue on 180 gram heavy Black vinyl, housed in a nice, heavy gatefold sleeve.